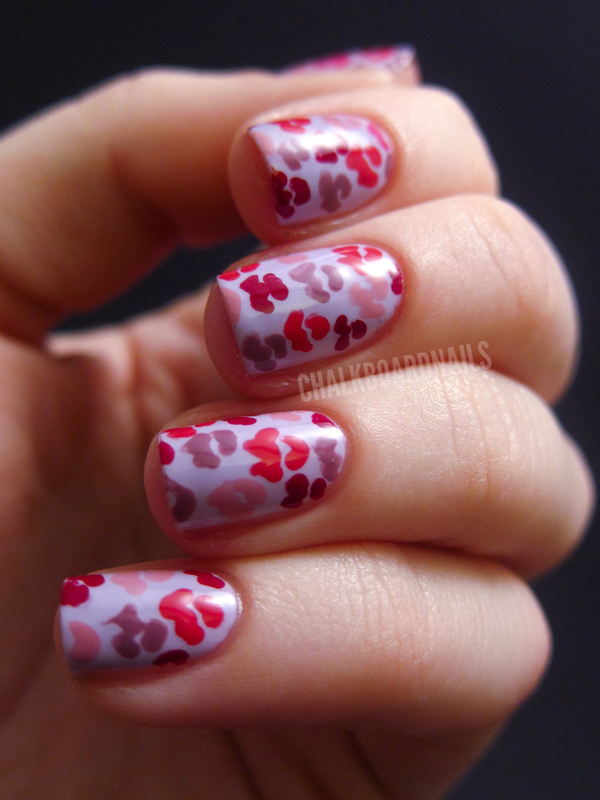 I absolutely love this lips manicure, it looks great! This is soo cute <3 How did you draw those lips? It looks so original!! This is so well done that I thought you were wearing nail strips!! I can't believe this is freehand! It looks so so gorgeous! Do nose nails for Hay Fever Awareness Day! the look so lovely !! Love this upturned out ereally well! I luv it a million times! Pure cuteness..
love the pattern! 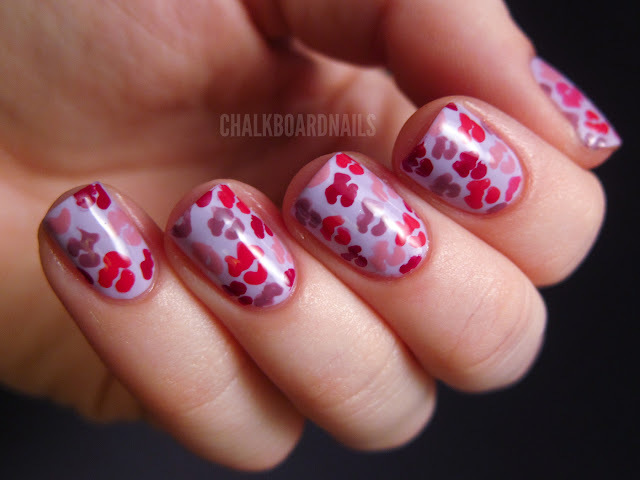 and the colors... the purple is perfect, makes the mani not overwhelming with pink and red vday colors. This is super cute Sarah! Love this! I can't believe you free handed the lips, they are so good! awwwwww sarah this is soooo cute! I love this! 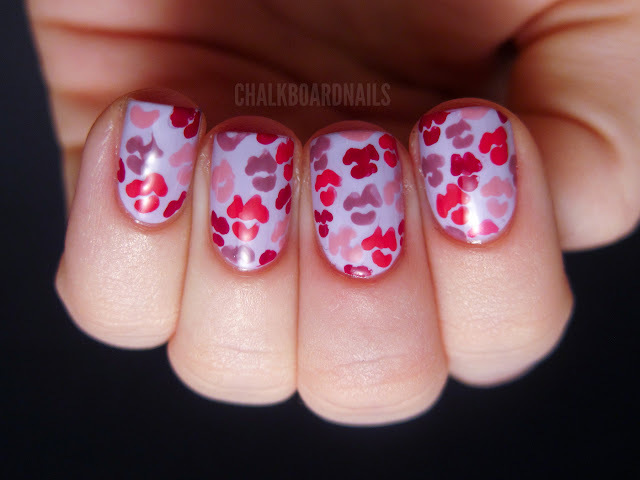 But darn it, I would only be able to do this on my left hand! Did you do this as a full mani?